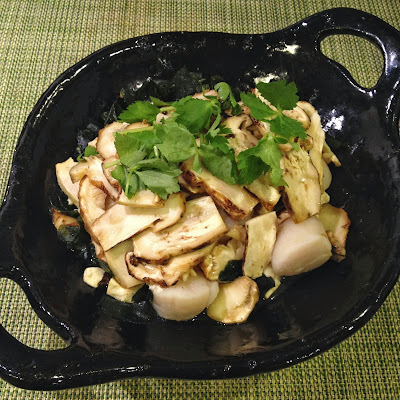 Matsutake season has arrived. I'm very happy. 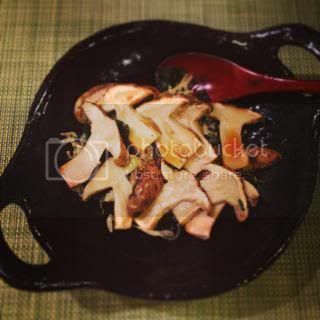 This year, both in Japan and in the US, I heard that the matsutake mushrooms are experiencing a very good harvest, thus the price in general is more affordable than previous years. So, since matsutake has been out in the market this season, I've been cooking and eating matsutake so many times already in so many ways. One of the easiest and tasty ways to cook matsutake for me is with donabe skillet, "Toban". 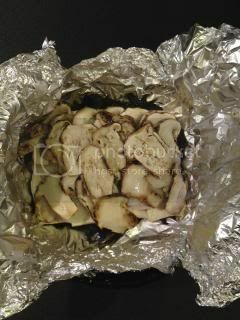 I make foil-wrap matsutake mushrooms with my toban. 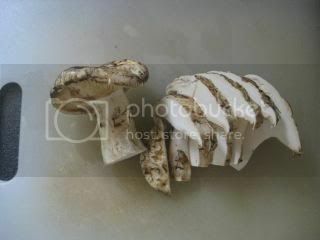 Slice the matsutake mushrooms first. 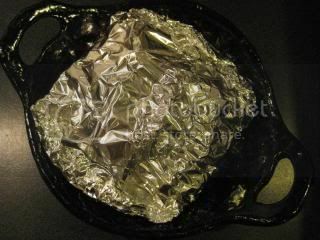 Then, take a large piece of aluminum foil and place on toban. 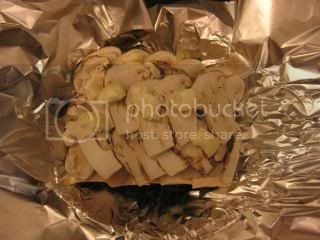 Rub a little amount of butter on the aluminum foil then pile the ingredients, starting from the bottom with wakame seaweed (rehydrate first, if you are using dry kind), thinly-sliced tofu (pressed to drain beforehand), sashimi scallops, and sliced matsutake mushrooms. Sprinkle some butter on top. Wrap and seal the foil. Put the toban with the wrapped foil in the 450F (230C)-degree oven and steam-roast for 18-20 minutes. Break open the top and carefully slide the content into the toban. Drizzle some ponzu and garnish with chopped mitsuba. The super aromatic matsutake and scallop are ready. The scallops were perfectly cooked to medium-rare, because they were under the matsutake. The combination of the flavors of matsutake, scallop, and butter created amazing effect on the palate! You can make different variations of this dish. 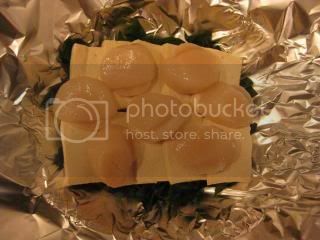 The other day, I did foil wrap of simply wakame and matsutake (no tofu or scallop). It was really nice. Scallop can be substituted with chicken tender, too.